DC Cinematic Universe, please take heed! This is how you make a superhero movie. After years of crash, bang, wallop with films like Man of Steel, Batman V Superman: Dawn of Justice and Suicide Squad, the audiences finally get a DC movie that could easily slip into its rivals cinematic universe, if it wasn’t for the fact that a password is I Hate Iron Man! Yes, Batman is well and truly back in an absolute hoot of a movie that knows exactly how to treat the main character: with a tongue rammed so deep in its cheek it has almost been swallowed up! Gotham City is under attack by ever super villain possible and Batman goes about stopping them from destroying it. When Commissioner Gordon decides to retire and hand over the job to his daughter, Barbara, she has big plans to change how Batman and the police work, wanting them to become a force of one. Batman refuses to enter into this pact as he works alone. Yet with an orphan joining him, The Joker planning to bring back villains from the Phantom Zone and Barbara Gordon having Batman incarcerated, there is only one way Batman can go. 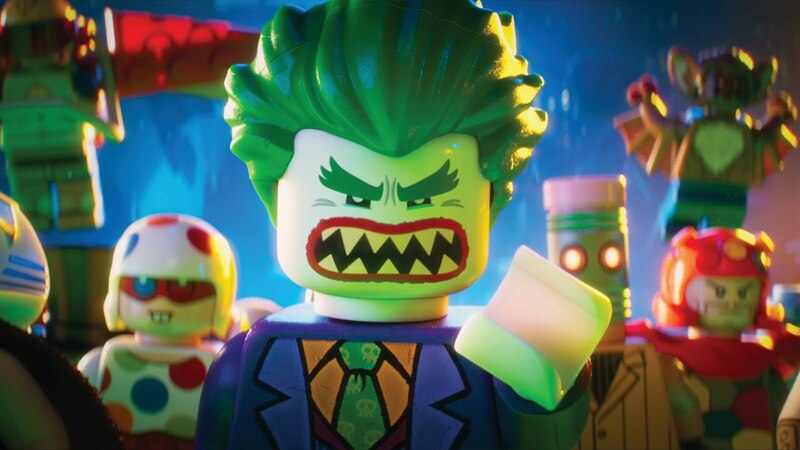 Following the huge success of The Lego Movie, the same team are back, this time giving over a whole movie to the character who became a surprise hit in the first film. Using the same animation techniques and ideas as their previous smash, we get the same level of jaw-dropping imagery and imagination, with everything happening at a break-neck pace, with the famous bricks making up everything. What also returns is the humour. A heady mix of visual and verbal gags that come at you thick and fast, From the moment the certificate card dissolves into darkness, the jokes begin and are almost relentless throughout, sometimes coming so fast that you miss the occasional one or two (done on purpose for a repeat viewing maybe?) It uses the past incarnations of the caped crusader to great effect, with references to past episodes, particular Adam West’s TV Batman, who comes under attack more than most. Where the film doesn’t reach the heady heights of his predecessor is that it does seem to run out of steam towards the end and the gag factor drops, replaced by the fact that Batman cannot work alone and that he needs a unit around him. That doesn’t mean it becomes boring or sentimental. It feels like the filmmakers have put everything into this film for 90 minutes that they run out of steam. 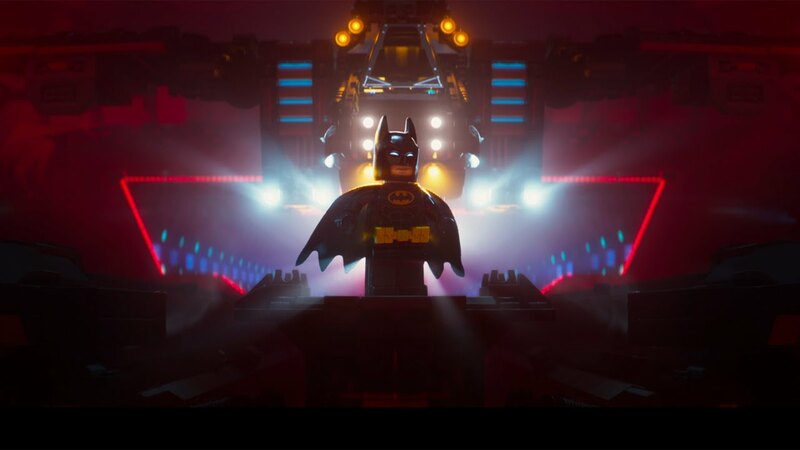 The Lego Batman Movie is a comic delight. It has plenty of colour and vibrancy to keep the little ones amused while there are tonnes of verbal gags for the adults, especially the ones with a knowledge of previous Batman films, to appreciate. I was laughing from the moment it started to the end (with that dip during the finale) but compared to most modern comedies, this is a masterpiece and I would gladly watch it again. Not as good as The Lego Movie but pretty close.